Heated kennels, each opening on to it's own outside run. Since 2003 Paul & Sally Beresford have built on Boothwood’s long held reputation for providing a safe, clean and friendly environment for your family pets. Exceeding standards in all areas of hygiene and care, Boothwood Boarding Kennels & Cattery sets a very high benchmark when it comes to maintaining a meticulous environment for dogs and cats, and a passion for animal welfare matched only by the pet owners themselves. If you are planning a trip and have not previously boarded your pet at Boothwood, we invite you to pop in to view our facilities. Viewing times are from 10am to 4pm, except for Bank Holidays when we close at 2pm. No appointment is necessary. If you would like to make a booking or have any questions, give us a call on 01422 824320 or drop us a line. Dog Boarding Kennels Rishworth. Dog Boarding Kennels Ripponden. Dog Boarding Kennels Saddleworth. Cattery Rishworth. Cattery Ripponden. Cattery Saddleworth. Pens, corridors and outdoor areas are cleaned with Trigene disinfectant and all cats are provided with clean bedding and their own litter trayevery day. 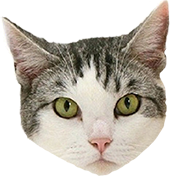 We stock all leading brands of dry and wet food and are happy to administer medication and prescription diets where provided by the owners. All of our kennels have a comfortable inside sleeping area (heated for the winter months) with each opening onto its own outside run. Every dog is exercised twice a day on our half acre field. We pride ourselves on our reputation for providing a safe, clean and friendly environment for your family pets. 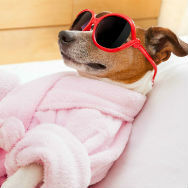 Why not combine a dog grooming session when you bring your dog to stay at Boothwood. We have been boarding our Weimaraner dogs at Boothwood Kennels since 2008 having moved to the area in that year. They have stayed at Boothwood several times every year and have always returned home happy and settled and never distressed which in turn has always given us much peace of mind. As Boothwood is a family run business, we have always received a more personal service, catering to our individual dogs’ needs. Our golden retrievers have holidayed at Boothwood Kennels since 1997. They have always been happy and well looked after and we have every confidence in this friendly and efficient family business. Who said dogs were forever loyal to their owners? Our dogs have been frequent visitors to Boothwood Kennels since we moved to the area in 2007. Embarrassingly they scratch at the gate to get IN and seem to prefer being there to being at home with us. I don’t know what Paul and Sally’s secret is, but Robbie our Westie and Ollie our Cockerpoo are more loyal to them than to us! My dog loves to stay here. She is so well cared for. It’s like home from home. Having used Boothwood Kennels for almost 10 years we cannot praise Sally, Paul, Kirsty, and Ryan enough as they are so accommodating with any requests we may have for one or the other of our pets. We always feel very assured that our pets will be very well looked after which enables us to go away without any worries. We take four dogs and two cats an in all the times we have taken them we have never experienced any adverse problems. This is confirmed by the fact our dogs cannot wait to get out of the car when we arrive as if they have ‘come home’ along with the fact that we have been using them for so long. 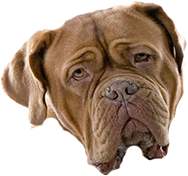 We would highly recommend them as we know our pets are very happy to be going there and the kennels and cattery are always very clean.